Among the artists on SonarDôme presented by Red Bull are Lorenzo Senni - a key figure in experimental electronica and trance rennaissance man - with a new show; Detroit and Chicago House legend Theo Parrish with a 3 hour set; the cutting edge r&b and electro-chanson of Dutch-Iranian artist Sevdaliza as well as the popular and fantastic Andalusian MC Dellafuente and many more at Sónar by Day. These final additions bring the shows that will take place at Sónar Barcelona between 18-20th July to a total of 140, spread across the 9 stages and 2 venues of Sónar by Day and Sónar by Night. Three of electronic music’s most beloved artists head up the bill at SonarDôme presented by Red Bull this year. 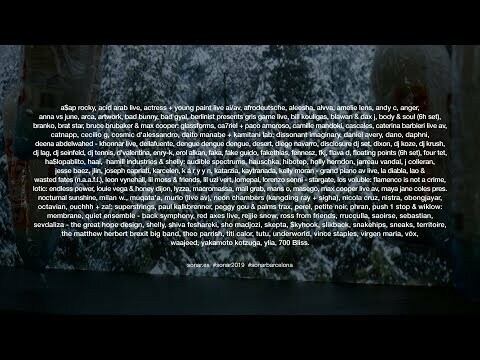 On Thursday, Iranian-born singer Sevdaliza, on a permanent upward trajectory since her first visit to Sónar in 2016, will present her unique take on avant-garde pop and r&b with a show directed by herself. The Great Hope Design, which incorporates elements of theatre and choreography was developed for the Red Bull Music Festival in Berlin in 2018. 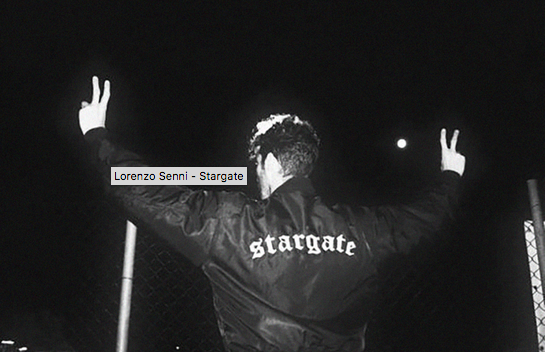 Friday sees the great Lorenzo Senni, a key figure in experimental electronics, perform with his reborn band Stargate, with a new show of synth music and epic trance falling between the digital and the analogue. New material for the show was created in Red Bull’s traveling studio in Matera, Italy. Finally, Saturday sees the legendary Detroit DJ and producer Theo Parrish offer a special 3-hour set to close this year’s SonarDôme. Replete with rare gems and unorthodox bangers running the spectrum from funk, house, garage and techno, we can’t think of a better way to see off Sónar by Day. As every year, SonarDôme will also feature young artists and projects that have already taken their first decisive steps on the international circuit. This is the case of 700 Bliss (the punk-rap duo formed by Moor Mother and DJ Haram), the Germany’s Perel (a new signing to James Murphy’s DFA label, whose sound sits between house and new wave), the Mexican duo of experimental electronics and deconstructed club music LAO & Wasted Fates (members of the Latin collective N.A.A.F.I. ), South Africans DJ Lag (a key producer of Durban’s Gqom sound) and Petite Noir (futuristic afro-pop). Once again the national scene will be very well represented with five of the figures that are currently shaping the present of music in Spain: the popular and fantastic andalusian MC Dellafuente, a key figure in musica urbana in Spain; the beatmaker and visual director Dano; and the three national participants of the Academy of Berlin: Ylia (playing live, solo, for the first time), the emerging Barcelona producer Shelly and the Galician Nistra, electronic alter ego Novedades Carminha guitarist Anxo Ferreira. The programme is completed by eleven other emerging artists who have recently passed through the classrooms and studios of the Red Bull Music Academy and who are called upon to mark the future of music in the short term: Sneaks (post-punk and r&b from New York), Anger (synth-pop and future beats from Austria), FAKETHIAS (grime and sound contrasts from Norway), J Colleran (treated pianos and soundscape from Ireland), Katarzia (avant-garde pop and advanced from the Czech Republic), Yakamoto Kotzuga (IDM and instrumental hip hop from Italy), Camille Mandoki (vocal avant-pop from Mexico), Milan W. (ambient and club music mutants from Belgium) and vōx (vocally innovative r&b from California).